The Haka is a traditional dance or ancestral war cry from New Zealand, specifically the Maori people. This is a rhythmical dance performed by a group to proclaim their power and strength in order to intimidate the opponent. The war haka or peruperu was originally executed by warriors and involved various body actions such as stamping of the feet, leaping, jumping side to side, slapping the hands against the body, sticking out the tongue, grimacing, and showing the whites of the eyes. The haka is usually performed by men although can also be done by women and even mixed groups. Other purposes for the haka are for amusement, for special occasions, for funerals, to celebrate great achievements, or as a form of welcome to special guests. Today, haka is still very much alive in New Zealand. It is performed during formal ceremonies, official celebrations, and as a form of welcome to distinguished visitors and foreign dignitaries. Most schools have their own school haka. Sports teams also have the tradition of haka performance before the games. Even flashmob hakas have been performed in support of the New Zealand men’s rugby team known as the All Blacks. The team also performs a haka before each international match. However, while there are those who love the haka, it has also become controversial and sometimes drew strange reactions. 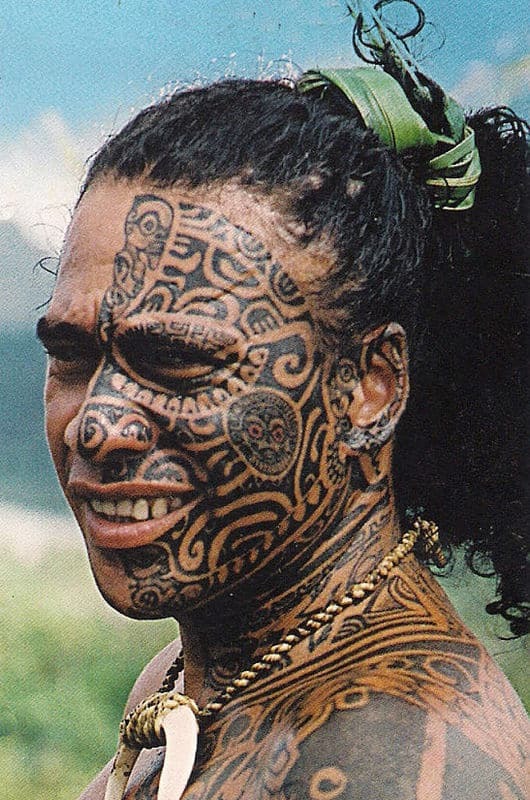 Therefore, it is not surprising that because of the reputation of the haka, it has found its way into tattoos as well. Maori tattoo designs inspired by the haka are now becoming more popular. The tattoos were traditionally on the face and body. More modern designs are now placed on the body and not on the face. The legs and arms are usually adorned with long twisting designs. Others may use a square variation or rounded spirals. These tattoos are distinct and have a long history. They are unique and this adds to the appeal and increased interest in the art. If you are considering a haka tattoo, be aware of the meaning and spiritual significance of the specific design you want.